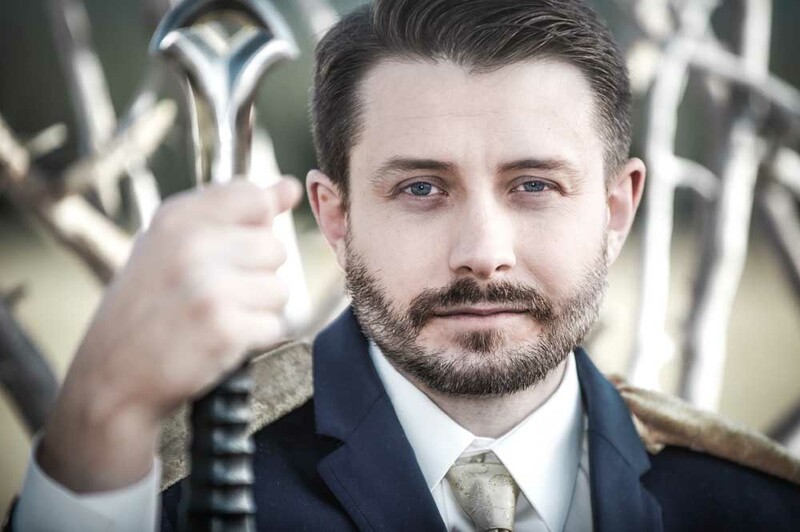 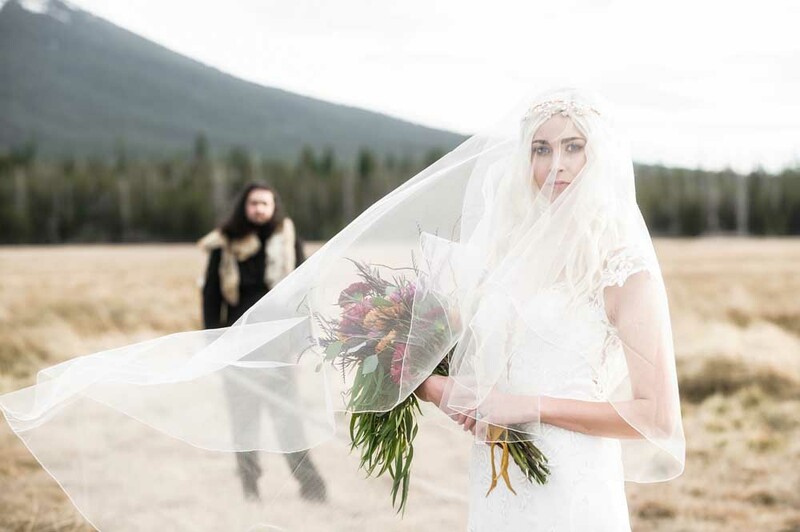 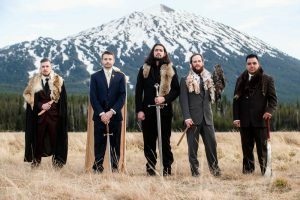 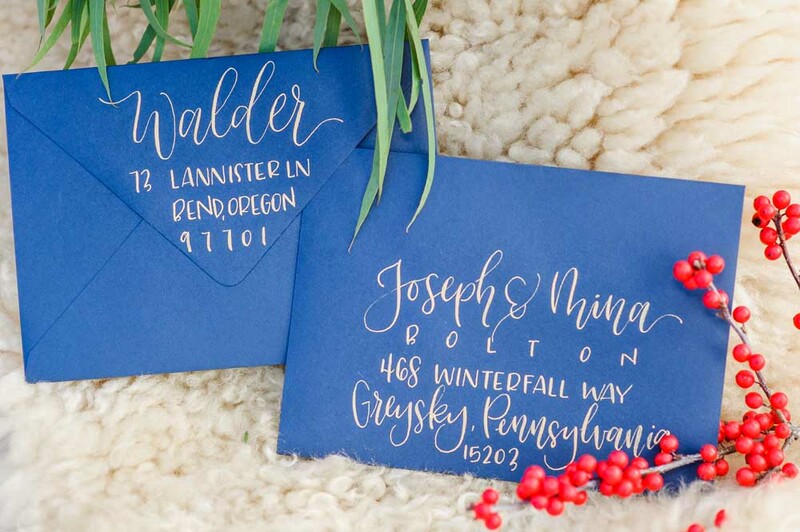 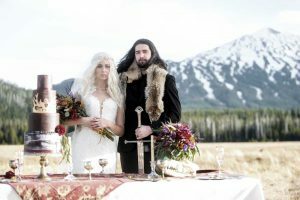 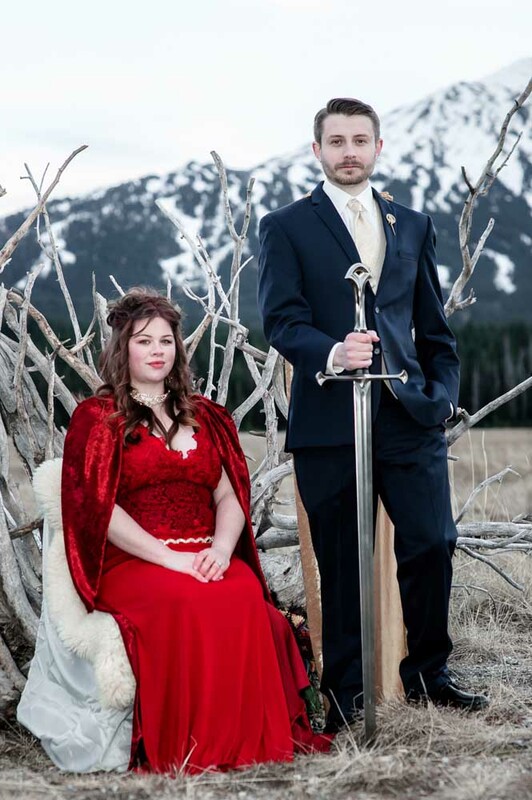 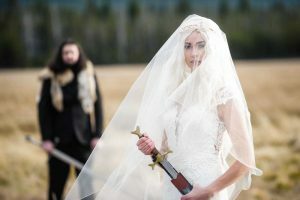 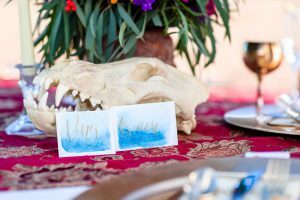 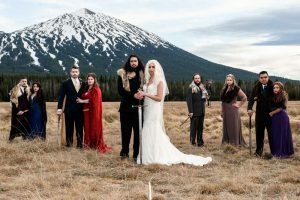 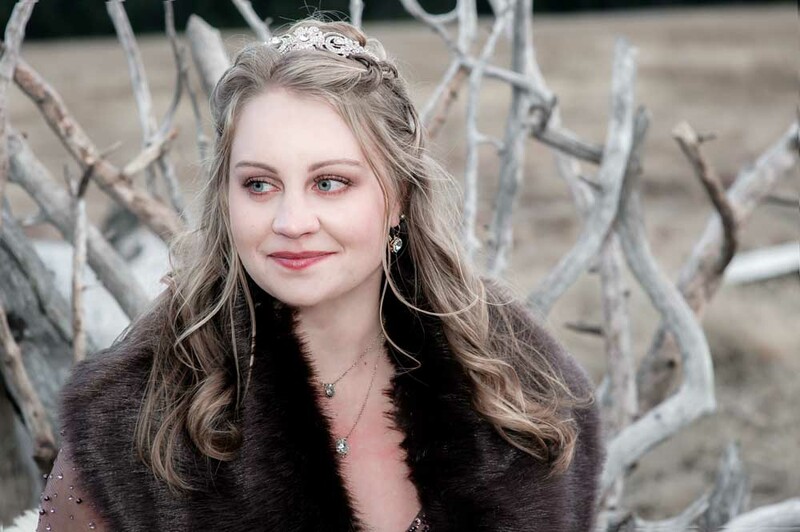 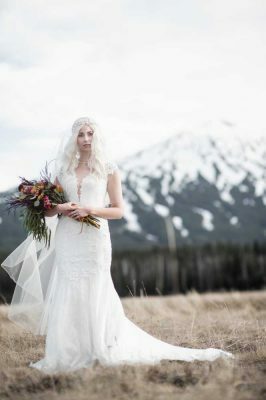 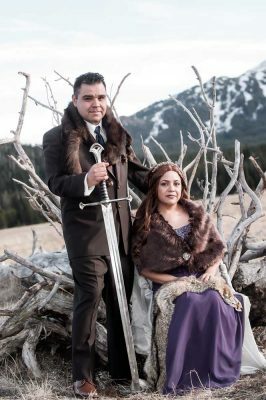 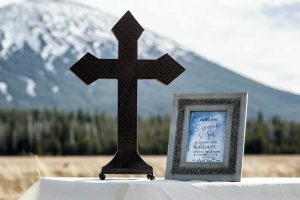 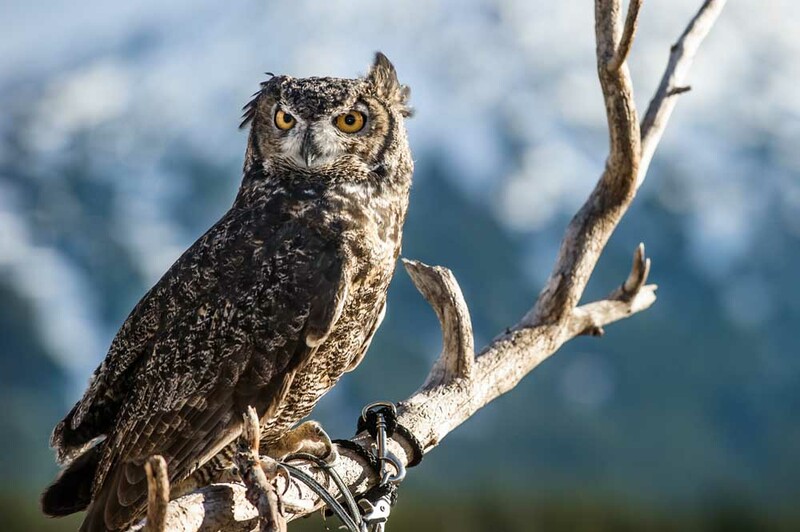 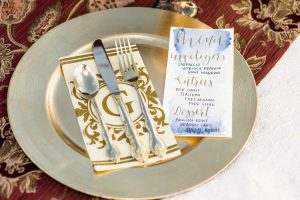 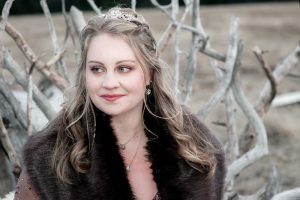 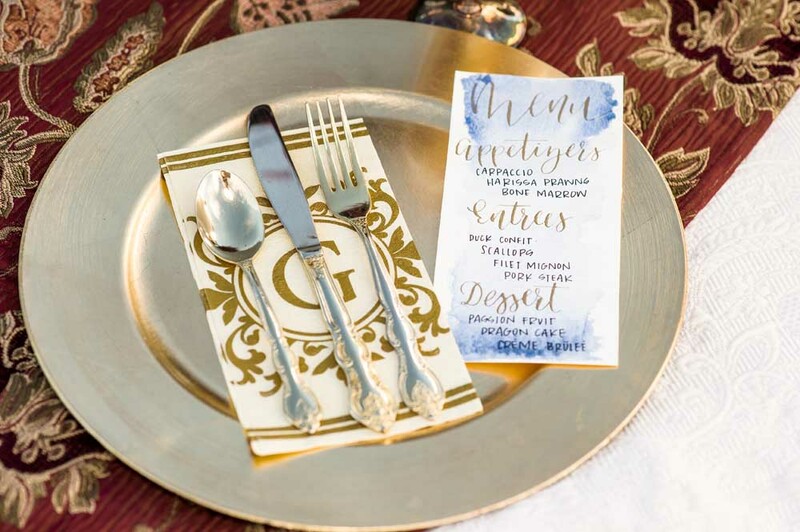 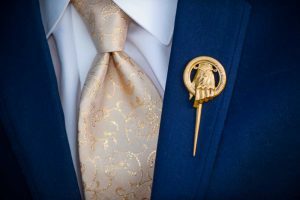 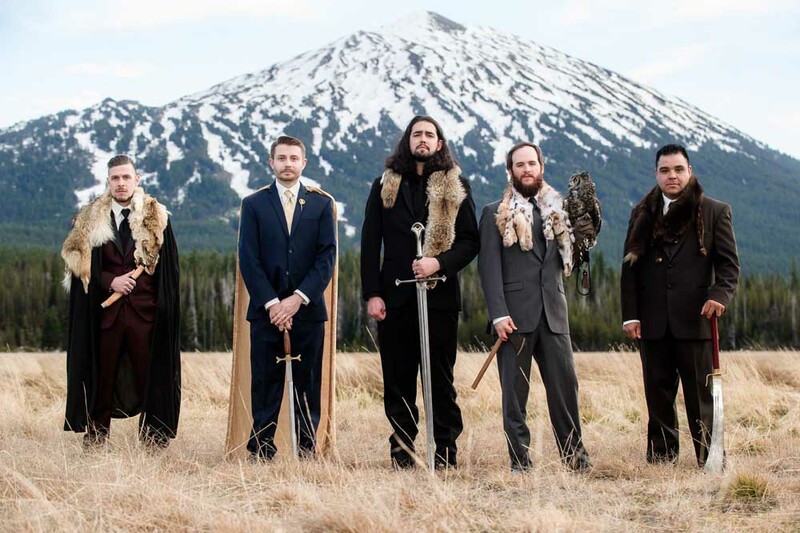 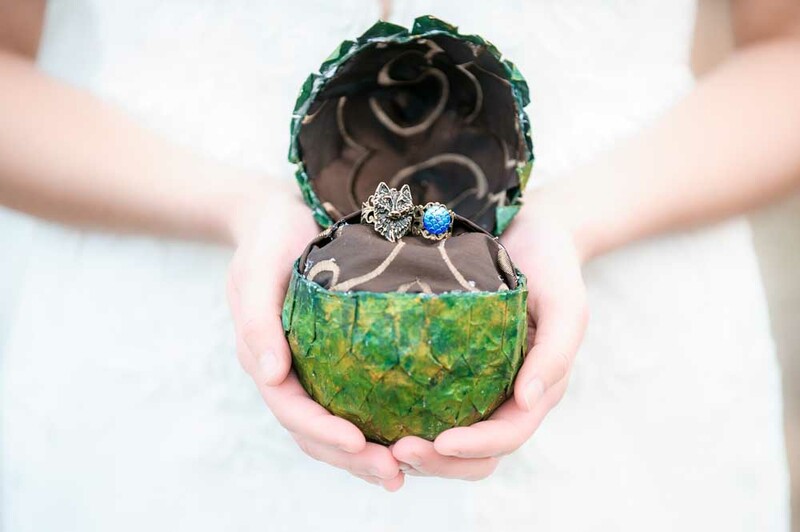 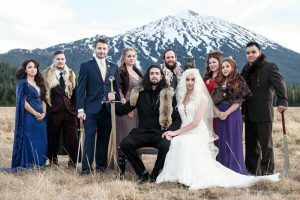 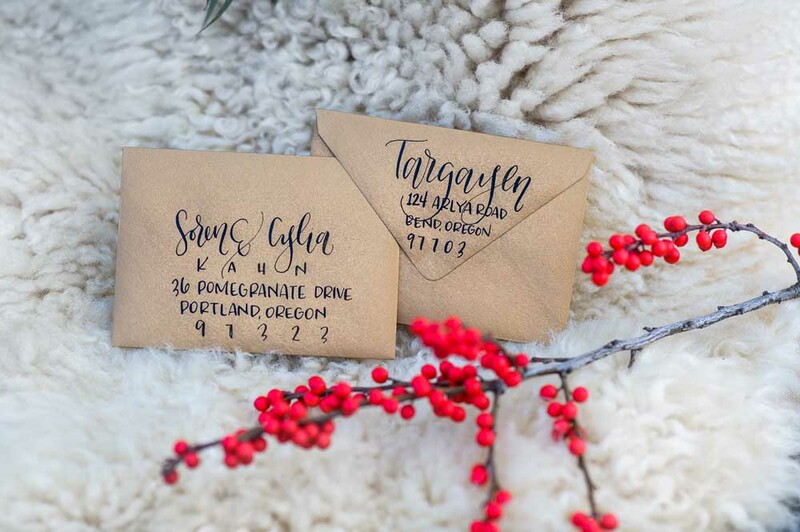 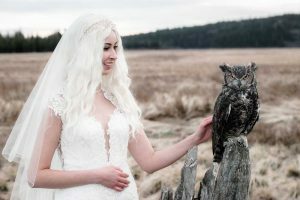 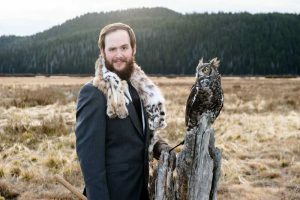 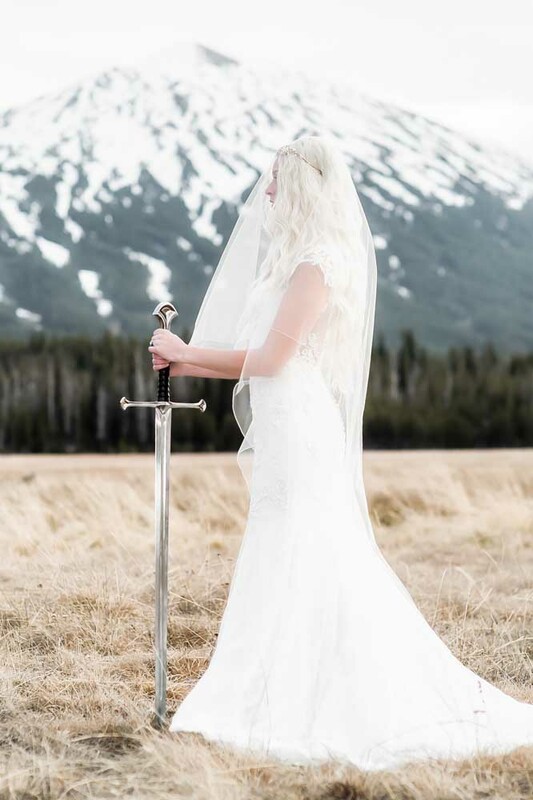 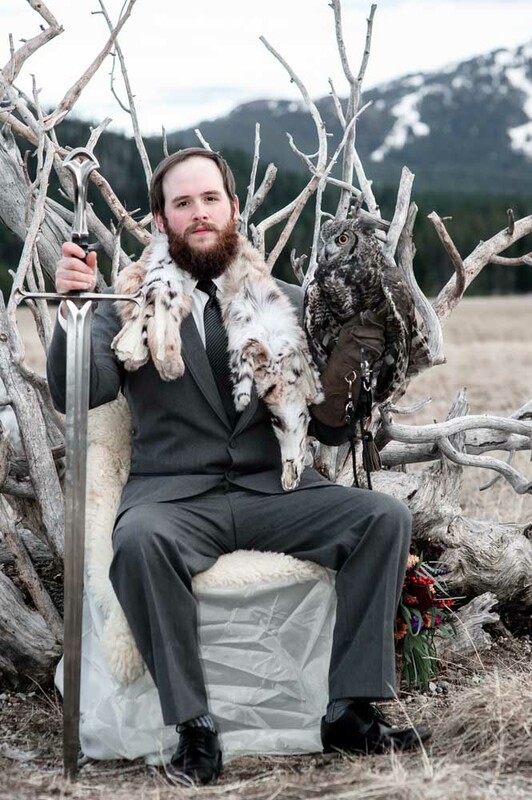 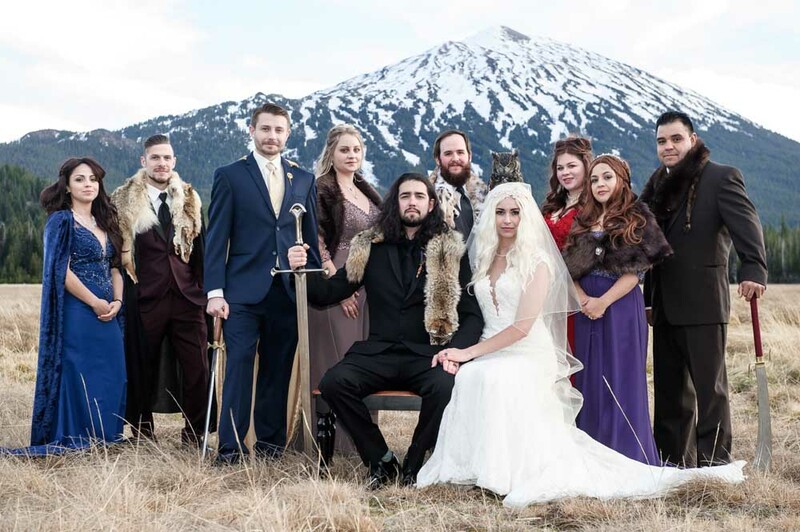 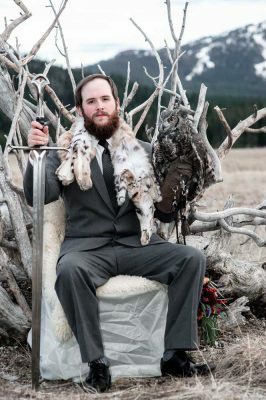 Fans of Game of Thrones are going to love this styled shoot put together by some of Central Oregon’s best. 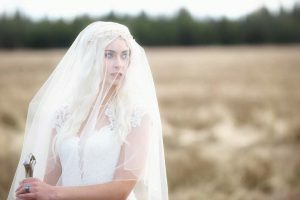 Christopher Shunk Photography took all of these fantastic photos. 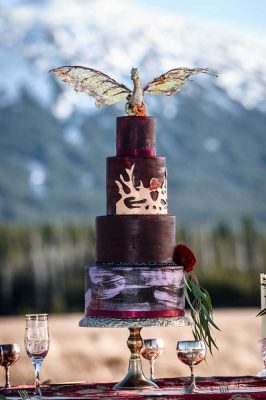 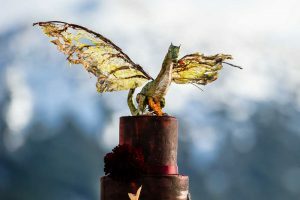 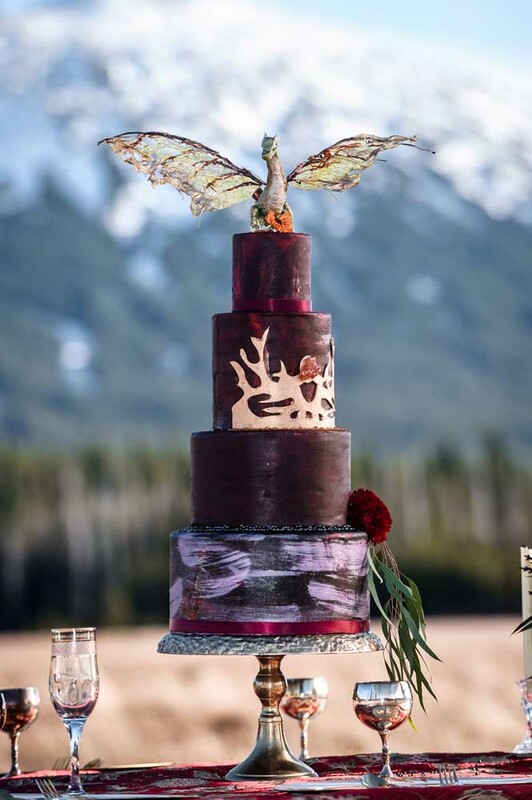 Foxtail Bakeshop crafted an unbelievable cake with a gold dragon on top. 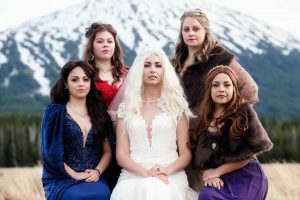 Our models looked perfect with hair and makeup done by Kaelin McDowell Makeup and props from TyTy Cosplay. 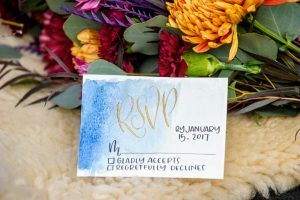 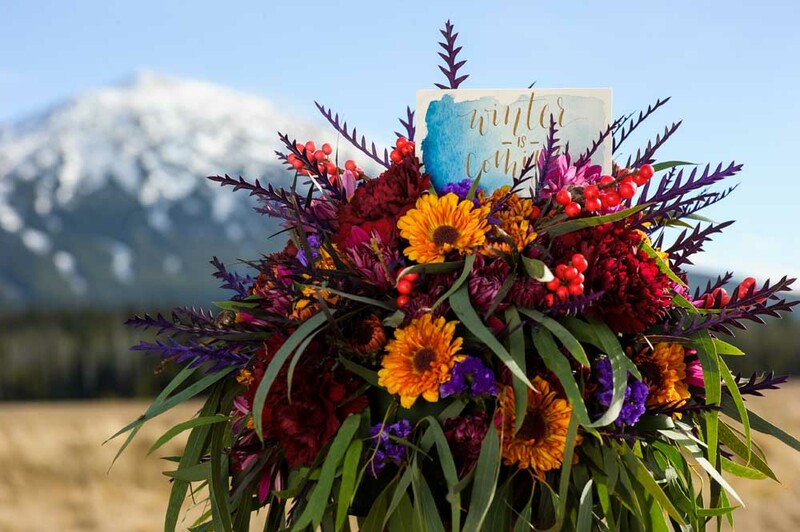 The setting was spot on with flowers by Woodland Floral and invitations/signs from My Fair Letters. 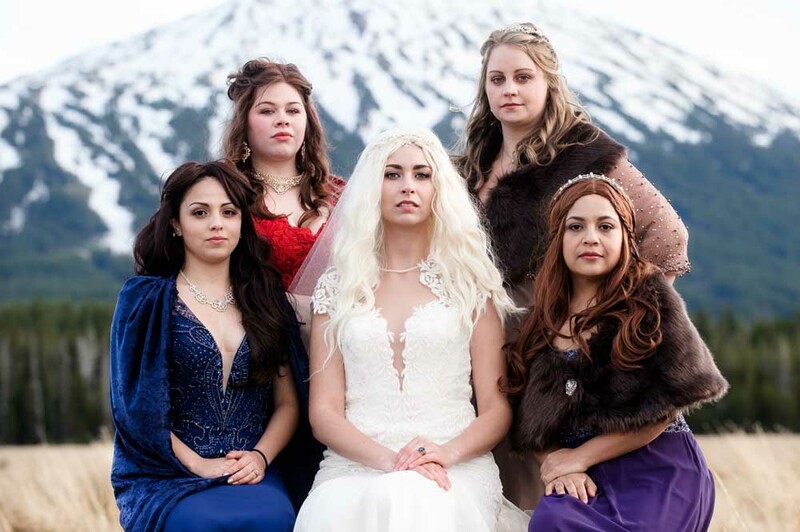 The dresses and suits were supplied by The Bridal Suite, of course! Hey, isn’t that our own Brittany in the red dress? 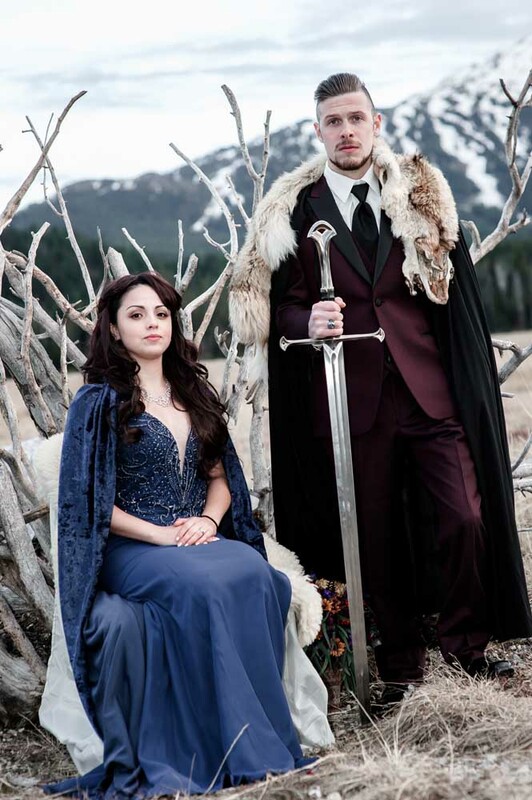 This is one of our absolute favorite shoots ever. 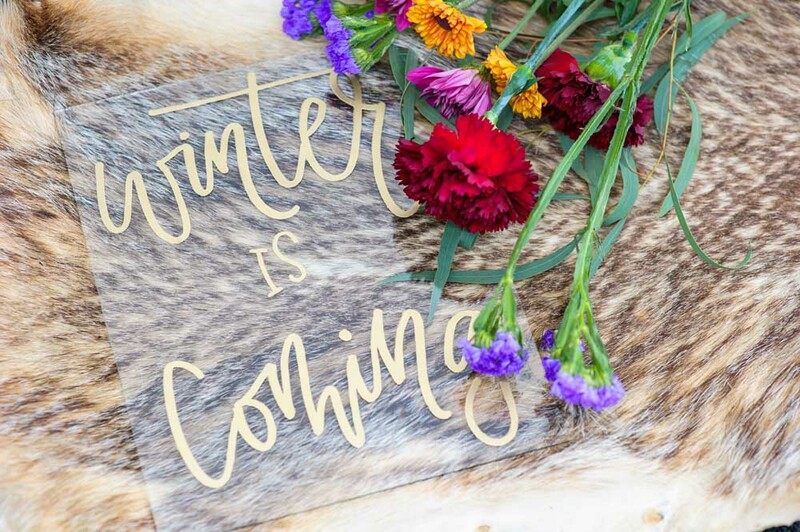 We hope you enjoy it as well.